I use the word ‘coordinate system' in a little broader meaning than the ordinary meaning. which maps a mathematical notion to a physical notion. which maps a mathematical notion to a history of the physical system. 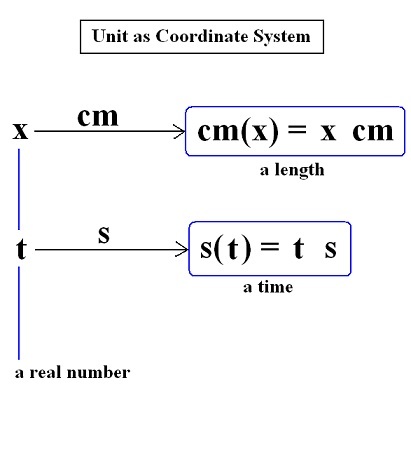 For example, a physical unit is a coordinate system in my broad meaning. which maps each real number t to the time t seconds. as shown in these figures. to the time later by t seconds than the arbitrarily given original time. 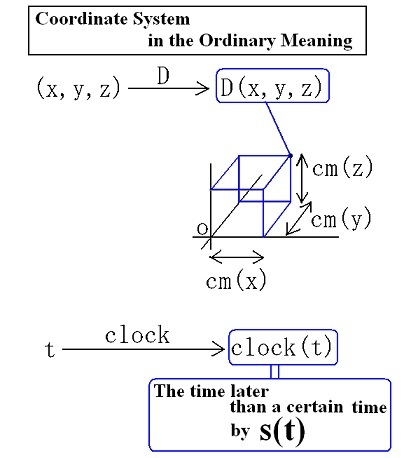 Therefore, Both D and clock are coordinate systems in my broad meaning. 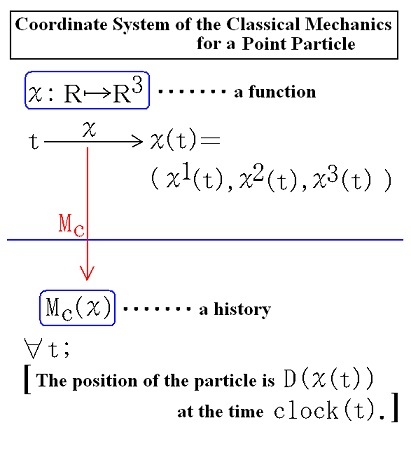 and the coordinate system of the quantum mechanics for it. where Mc(χ) is the following proposition. 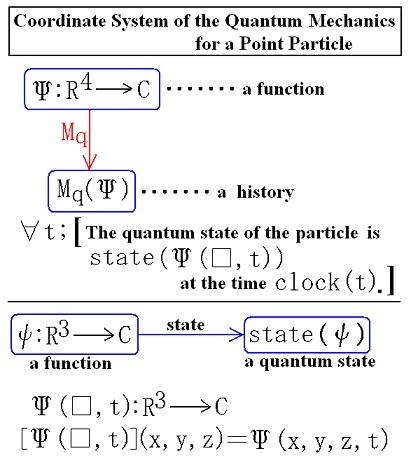 where Mq(Ψ) is the following proposition. and is a coordinate system in my broad meaning.